If you were to hear today that your father has cancer, you could go to the Internet and Google everything you want to know about it, including possible cures. However, my 17-year-old self could not. It was pre-internet back in 1979 . We had the library and we had encyclopedias; so when I stumbled upon an article in our Good Housekeeping magazine about a doctor curing his cancer by changing his diet, I was fascinated. I was also young and my father’s cancer was too far progressed so we didn’t try this. But, I kept that article. Throughout my years of being overweight, I had tried almost every “diet” out there with very limited success. I had recently worked with the Metabolic Center upon my Rheumatologists request. I was quickly disillusioned because they wanted my calories in to be at 1000 calories a day and they also said, “Don’t exercise as it will make you hungry.” This picture is a representation also of all the “supplements” I would need to assist in the weight loss. Week after week I would meet with them and say “I physically cannot take all of these supplements. What is the one most important one?” And every week they would end up with “You need them all.” I grew tired of this charade and so when I met the trainer who would help me, I told him straight up. Diet and Exercise – NO SUPPLEMENTS. When you have RA or Thyroid issues there are a lot of doctor appointments. I had gone to my Rheumatologist for a routine visit in January of 2016. One week later I started my weight loss journey. Approximately 6 months later I had another routine Rheumatologist appointment. 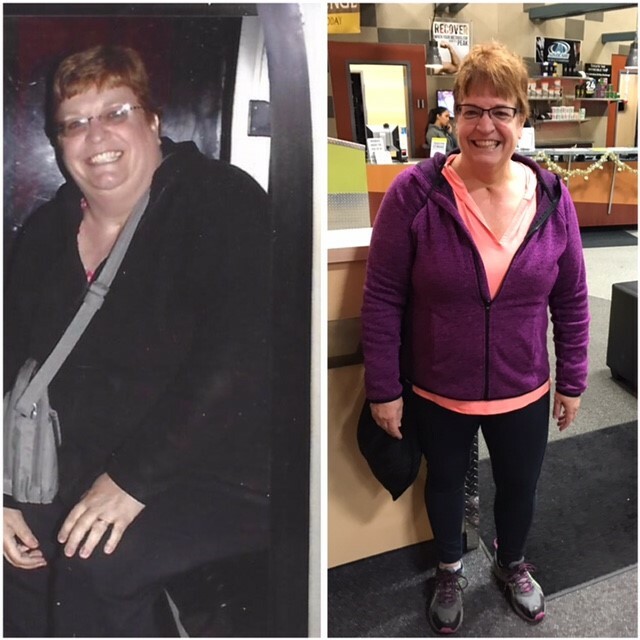 I had lost about 40 pounds and totally changed my eating to whole foods, eliminating most sugars, and eating almost 2000 calories a day while exercising 5 to 6 times a week. I wish I had saved the voice mail message I received from the Rheumatologist office. The shock in the voice, the praise for whatever I was doing – the encouragement to keep it up. It was so thrilling to hear. All of the inflammation markers had gone from high to low. I was beginning to see how food affected my health; just like I had read about back in that Good Housekeeping article from 1979. I have been eating this way for over two years now. The results have stayed fantastic. My blood pressure is normal; my cholesterol is normal; my RA inflammation is basically in remission; and my thyroid medicine has been adjusted to a lower dose. I am extremely thankful as I was not looking for the next diet fad, I was looking for a healthy, sustainable, way to live and enjoy my life. That is what I found!